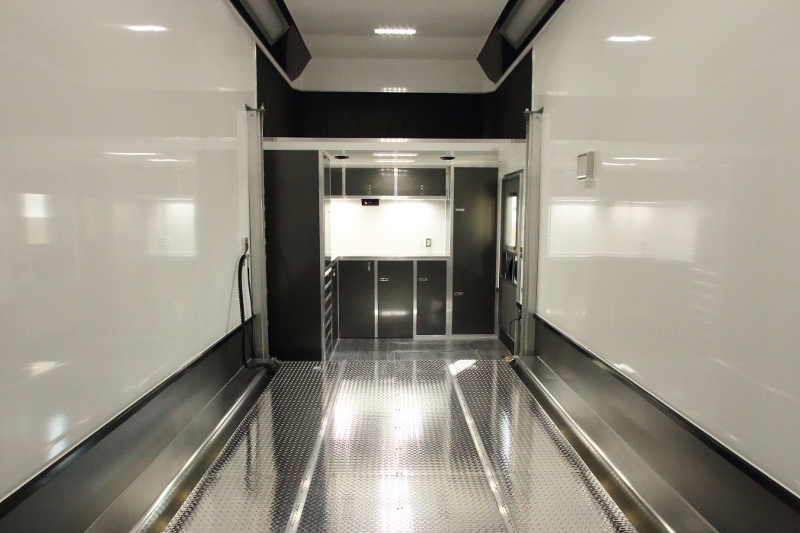 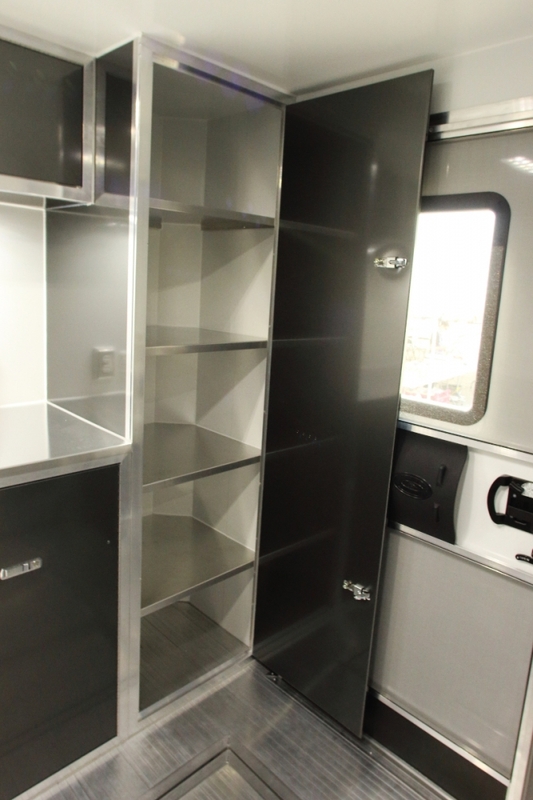 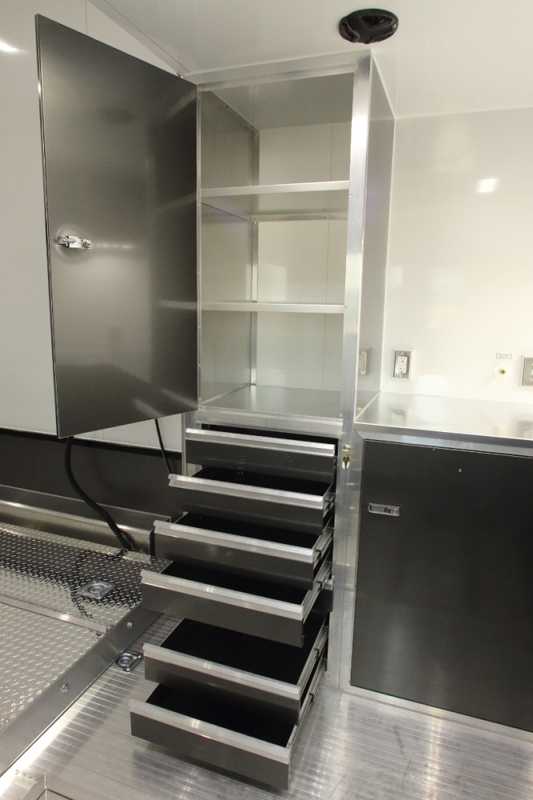 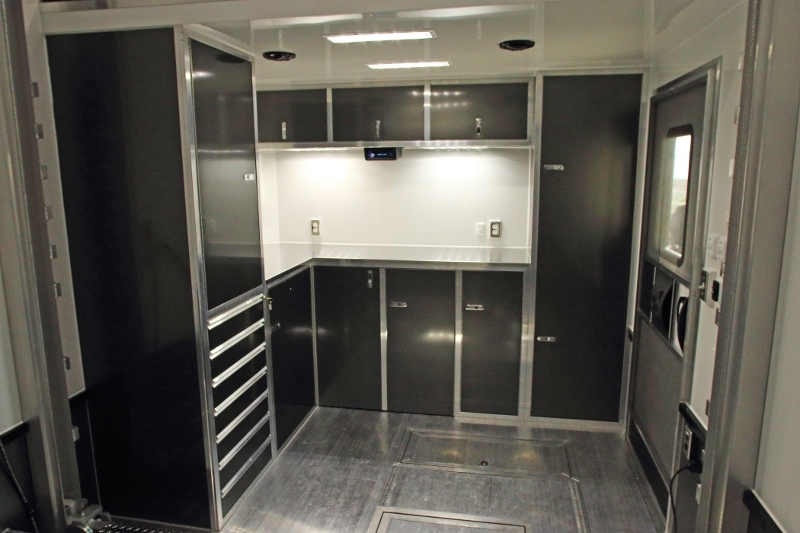 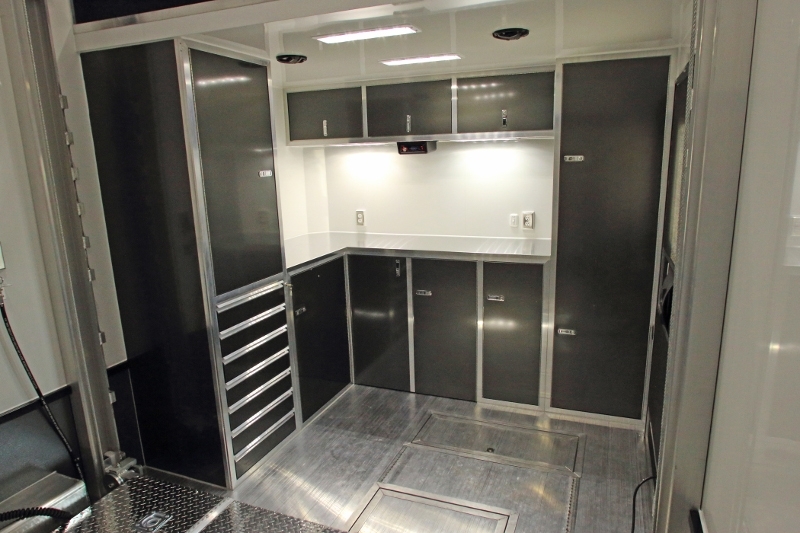 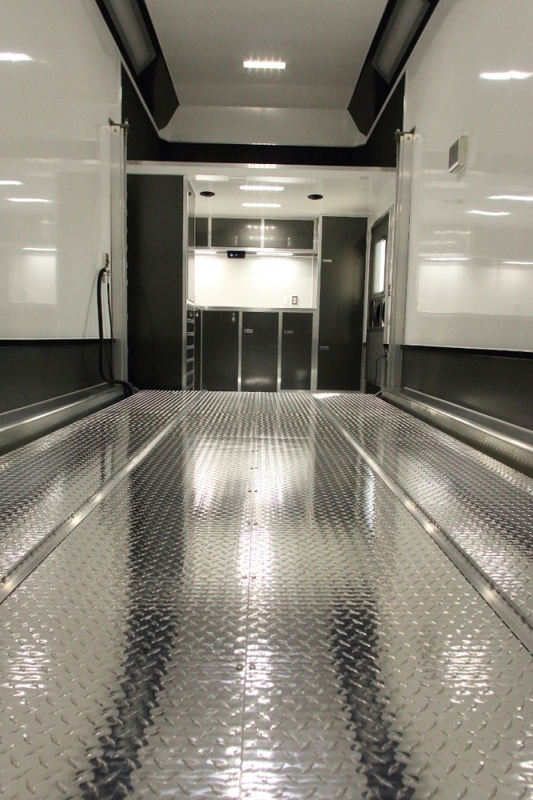 24' Custom inTech aluminum stacker race car trailer loaded with custom features including 97.5" Rear Door opening with 82" wide lift and 85 1/2" between the wheel wells, fuel filling station, custom cabinets, electrical package, tool chest and more. 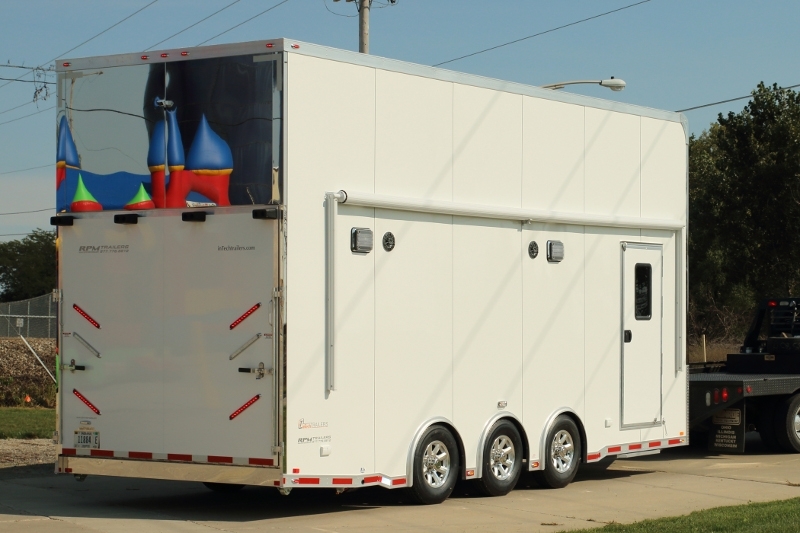 Take a look at this incredible 24’ Custom Aluminum Stacker Trailer... you are certain to be the envy at any event! 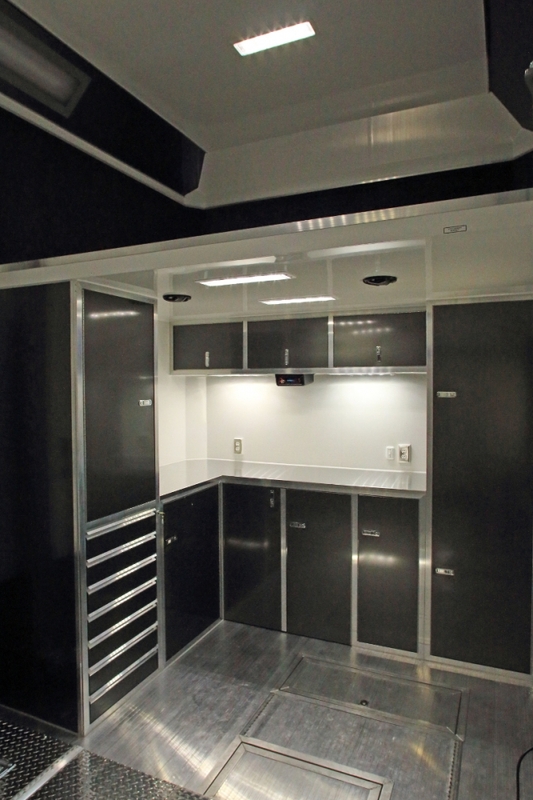 RPM Trailer Sales Stacker Trailers are a great way to transport multiple cars and still leave plenty of room for a full workshop, and in this case added closets and tool chest makes for a spectacular work space. 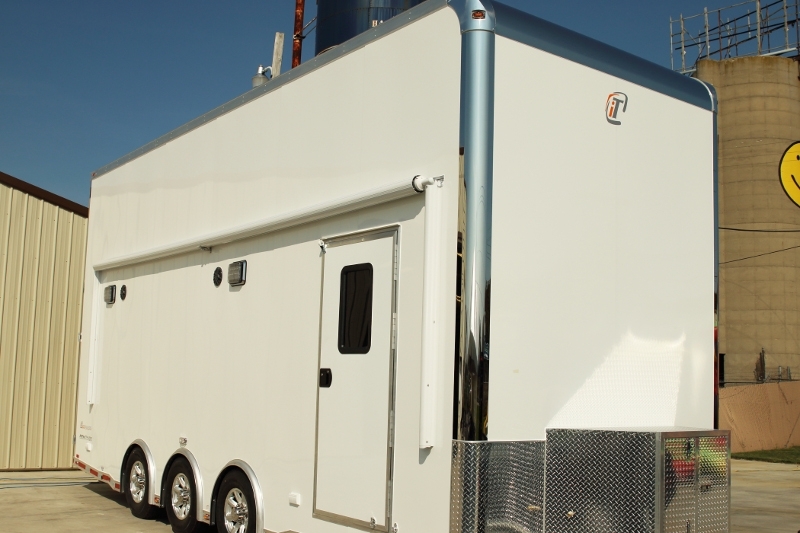 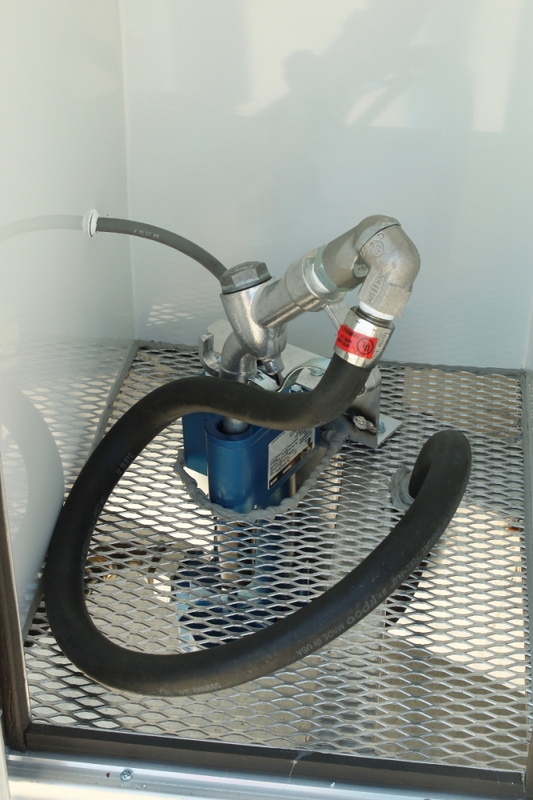 A few of the amazing options included in this inTech stacker trailer includes: Fuel Filling Station with 40 Gallon in Frame Tank, 97.5” Rear Door opening with 82” wide lift and 85 ½” between the wheel wells. 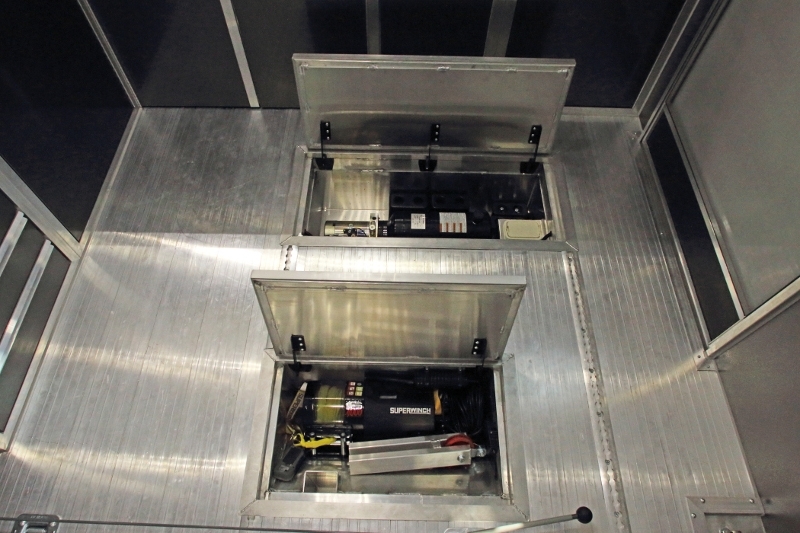 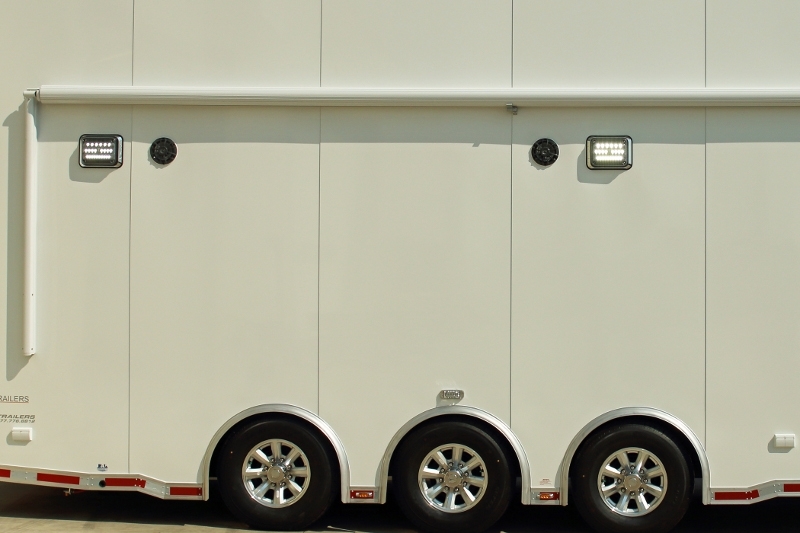 This aluminum stacker trailer also includes plenty of LED 12V Lighting along with the 50 amp 120V. 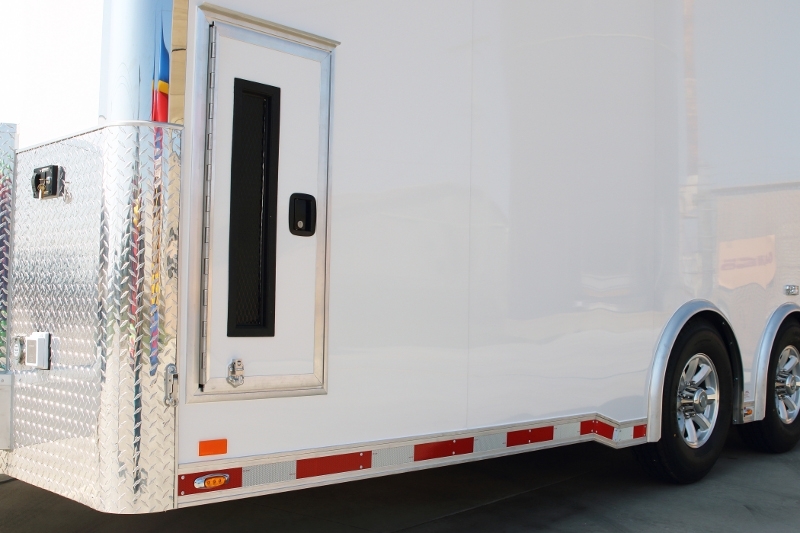 Why settle for a stock trailer ever? 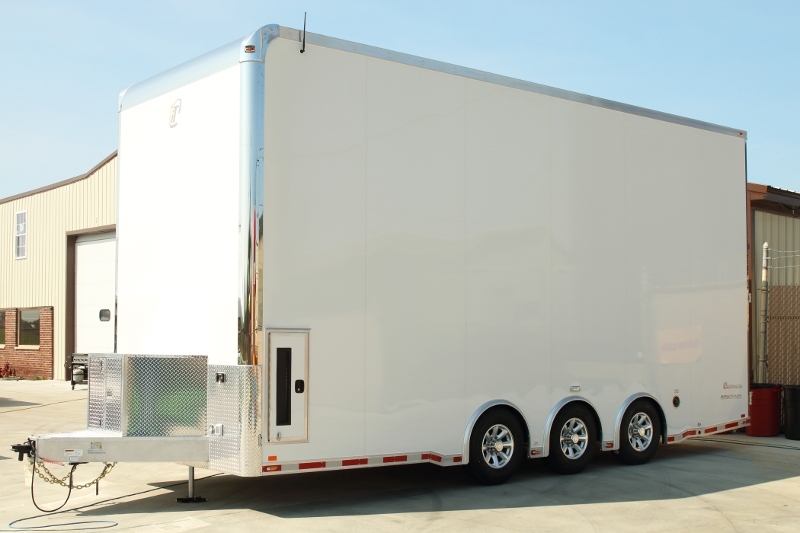 Often Imitated – Never Duplicated” Contact us today at 706-654-2882 for details and a custom quote on your next aluminum stacker race car trailer. 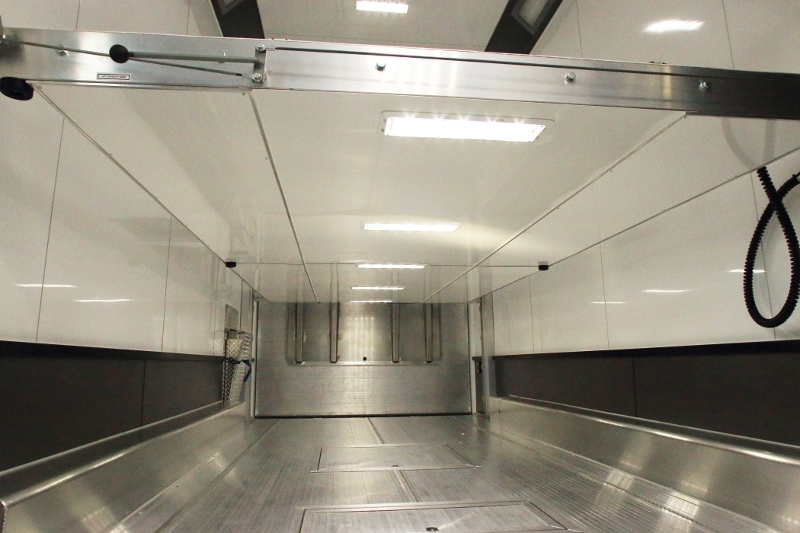 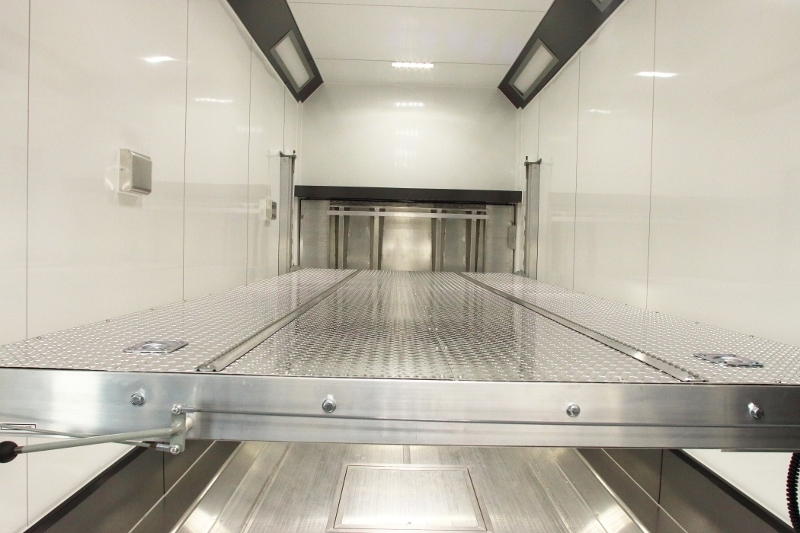 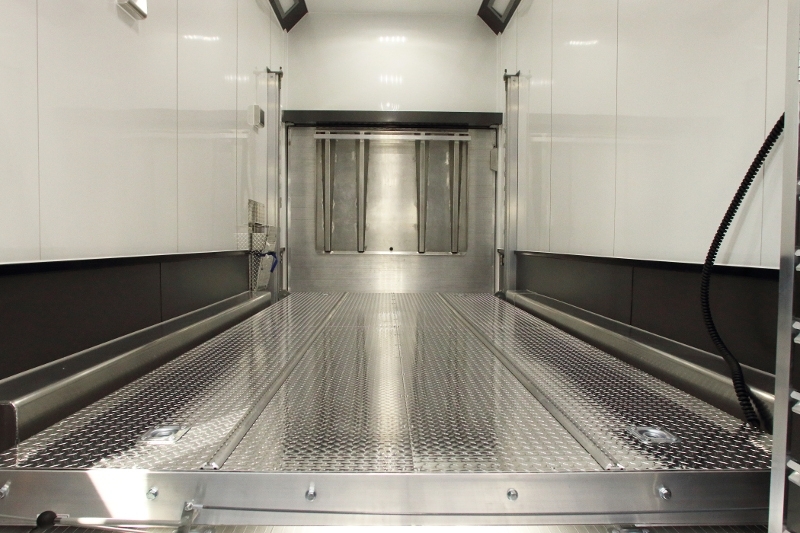 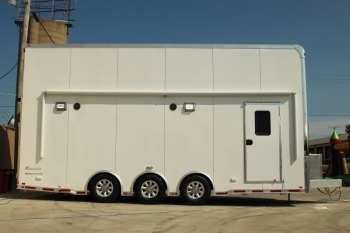 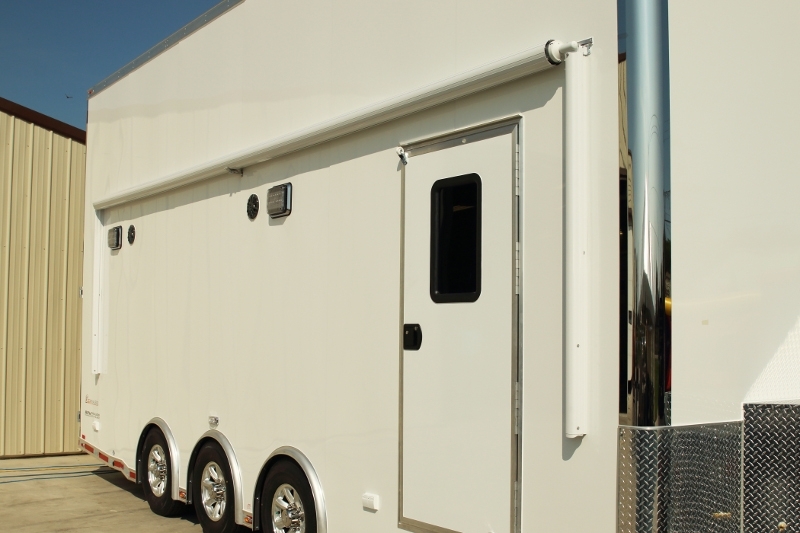 Custom Aluminum Trailers are our Speciality! 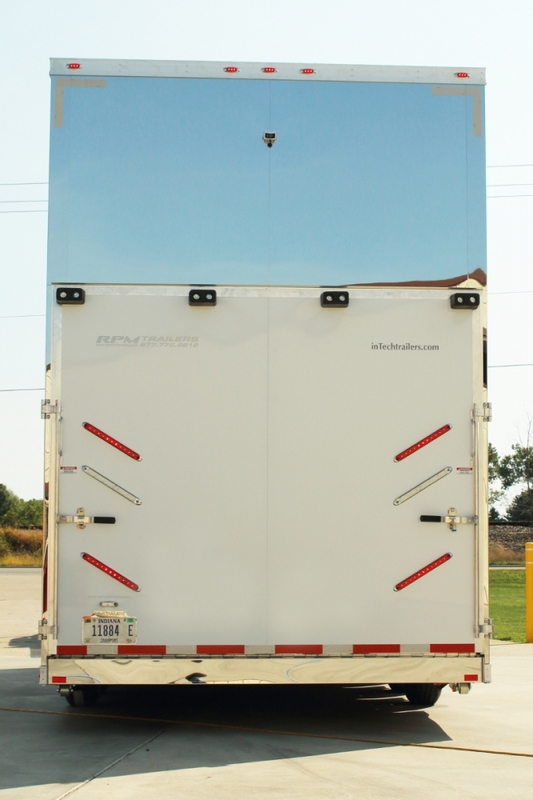 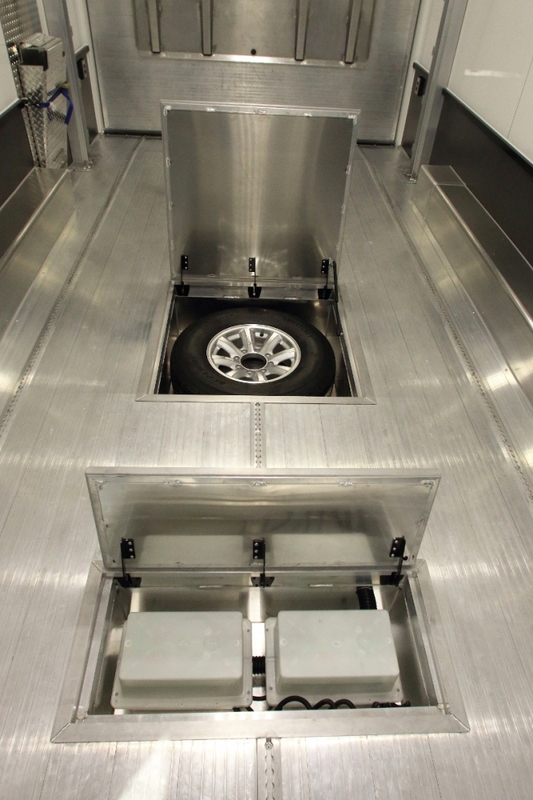 If this inTech Aluminum Stacker Trailer is not exactly what you are in search of contact RPM Trailer Sales. 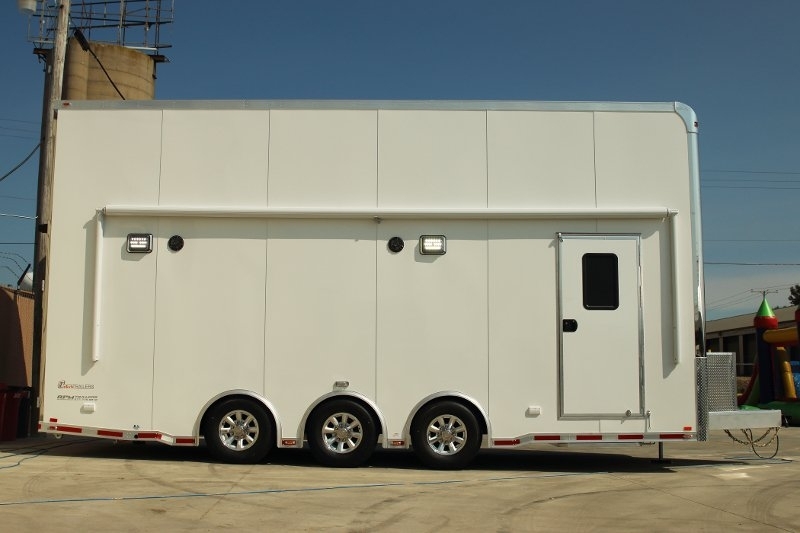 Reach out to us today for a custom quote on your next Custom Aluminum Stacker Trailer at 706-654-2882.